Ohio State performed its first lung transplant in 1998, first double lung transplant in 1999 and first lung-kidney transplant in Ohio in 2016. Our pulmonary care is ranked among the nation's best by U.S. News & World Report. 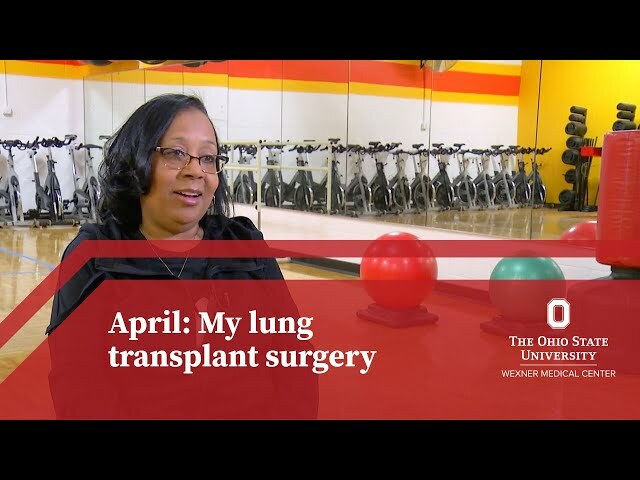 Why choose Ohio State for lung transplant? 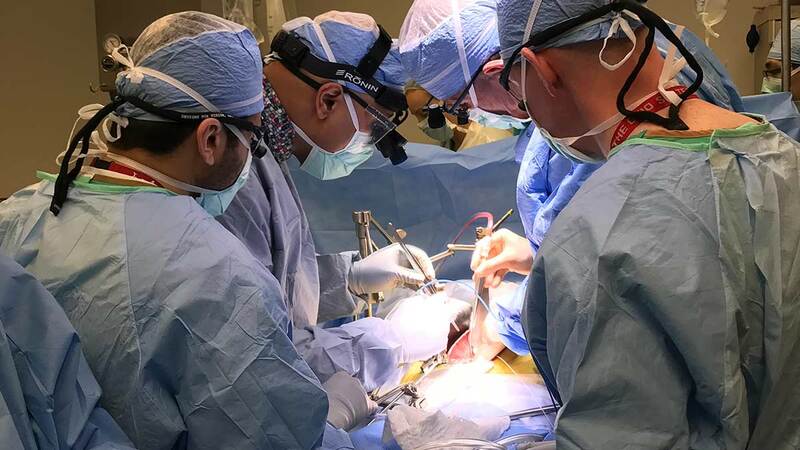 Ohio State's Comprehensive Transplant Center is the first in Ohio and among only a handful nationwide to test a novel method that could potentially double the number of available lungs for transplantation and save more of the 35 million Americans suffering from chronic lung disease. Alpha-1 antitrypsin deficiency (AAT deficiency): an inherited condition that raises your risk for lung and liver disease. Alpha-1 antitrypsin (AAT) is a protein made by the liver that protects the lungs. If the AAT proteins aren't the right shape, they get stuck in the liver cells and can't reach the lungs. Some people have no symptoms and do not develop complications. Blood tests and genetic tests can tell if you have it. If your lungs are affected, you may also have lung tests. Treatments include medicines, pulmonary rehab and extra oxygen, if needed. Severe cases may need a lung transplant. Not smoking can prevent or delay lung symptoms. Occupational lung diseases: are caused or made worse by your work environment. They occur from inhaling dusts, chemicals or bacteria and molds at work. Lymphangioleiomyomatosis (LAM): is a rare lung disease that mostly affects women of childbearing age. In LAM, abnormal, muscle-like cells begin to grow out of control in certain organs or tissues, especially the lungs, lymph nodes and kidneys. Over time, these LAM cells can destroy the normal lung tissue. As a result, air can’t move freely in and out of the lungs. In some cases, this means the lungs can’t supply the body’s other organs with enough oxygen. A goal of our Comprehensive Transplant Center is to ensure our transplant patients experience seamless service through the entire transplant process, including pre-transplant evaluation, communication throughout the waiting process, acute medical care during and following surgery, intensive outpatient treatment, post-transplant outpatient visits and ongoing telephone follow-up. If you are deemed a candidate for lung transplant, you will be asked to sign a written contract that states you understand and agree to commit to the process. If you have a tobacco, alcohol or drug history, you will be asked to sign an abstinence agreement as well. Sample contracts are available from your lung transplant coordinator. Please talk with your coordinator should you have any questions regarding these contracts and agreements. Changing harmful habits should be a priority, as our program does not consider patients who are current smokers or alcohol- or drug-dependent. Potential recipients must be substance-free for at least six months before being listed for transplant. We will perform random testing, and a positive test could result in your removal from our list. During your first appointment, you will meet your transplant team and be scheduled for evaluation testing at Ohio State’s Wexner Medical Center. A full outpatient clinic evaluation will determine whether listing for transplant would be an appropriate option for you. The evaluation includes extensive pulmonary and cardiovascular testing, multiple tests that evaluate general health, lab work, education, surgeon and pulmonologist evaluations and a social work consultation. Transplant candidates must be in good overall health, since the surgery is difficult and medications taken after transplant are very hard on several body systems including bones, kidneys and liver. You may also have consultations with a transplant infectious disease specialist (if needed) and other professionals who may be appropriate to your condition. Every patient moving forward with testing for lung transplant will also have a psychosocial assessment with a social worker. This evaluation will help determine if you have the mental stability, motivation and personal support to meet the challenges of transplantation. Patients will take part in a comprehensive education program that details the surgical procedure, medications, recovery and rehabilitation associated with the transplant process. It is preferred that these tests be completed at Ohio State’s Wexner Medical Center, but depending on your geographic location or payer preference, they may be completed closer to your home. Ask your coordinator if this is an option for you. Transplant physicians send follow-up letters to the referring physician summarizing the pre-transplant clinic visit and any additional information required. Once the evaluation is complete, we submit the clinical data received for insurance authorization. The transplant team evaluates the information gathered and determines whether transplantation is appropriate. We will also determine what additional information is needed prior to placing you on the transplant list. Once the evaluation is complete, your coordinator will present your case to The Ohio State University Wexner Medical Center Patient Selection Committee for approval. If approved for transplant listing, the final step involves approval by the Ohio Solid Organ Transplantation Consortium (OSOTC). When approved by the OSOTC, you are then listed for lung transplantation on the United Network for Organ Sharing national waiting list. Patients are not actively listed for transplant until insurance approval is received. Your wait time can depend on factors such as your blood type, body size and the severity of your illness. The wait time could be from days to years. You will continue to follow up routinely with Ohio State’s transplant physicians so we may update your Lung Allocation Score (LAS) every several months. Potential recipients must be substance-free for at least six months before being listed for transplant. You must submit to random drug, nicotine and alcohol testing. A positive test result could result in removal from our list. You should continue with pulmonary rehabilitation activities. Changing harmful habits should be a priority, as our program does not consider patients who are current smokers or alcohol- or drug-dependent. You will meet with our social worker and transplant coordinator, as will your family and any support persons identified for an orientation. You must be reachable by phone at all times. Your transplant surgeon receives offers of organs from organ procurement organizations. If an organ is a good match for you, you will immediately be contacted. 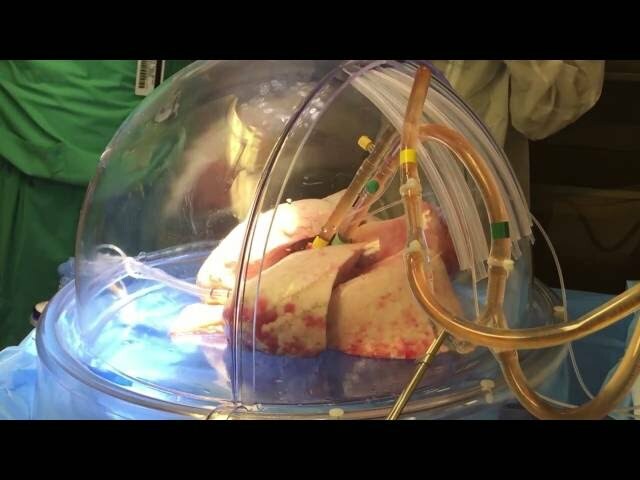 The lungs need to be transplanted within six hours after donor recovery. However, this time varies and you will be updated as much as possible by either your coordinator, nurse or physician. You should always be within a three-hour drive of Columbus, due to tight time constraints of a transplant. You should not eat or drink anything from the moment you are notified that an organ has been matched to you. You will be instructed to immediately come to The Ohio State University Wexner Medical Center for admission. You will undergo lab tests, receive an x-ray and begin immunosuppression medications. You will then go to surgery. You will be in the operating room for approximately six hours, depending on individual circumstances including whether you are receiving a single or double transplant. Upon completion of the surgery, you will be closely monitored in an intensive care unit for complications. You will be on a ventilator with multiple IVs and monitoring devices. Usually, you will be weaned from the ventilator and out of bed within a day or two of your operation. 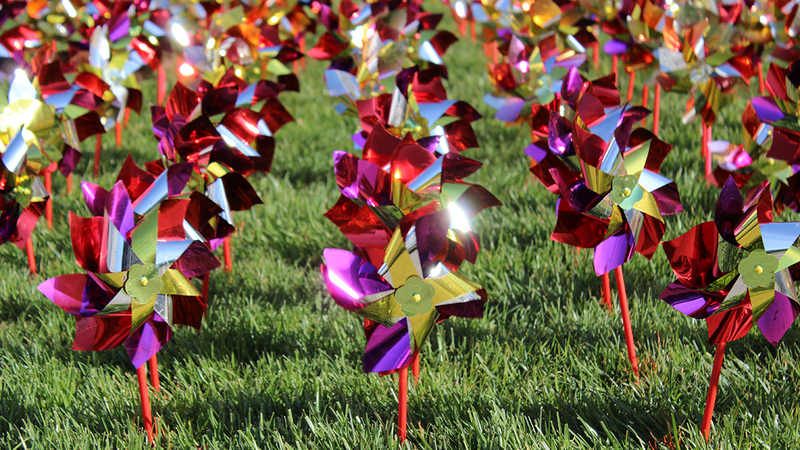 The average length of stay for a lung transplant patient is seven to 14 days. You will be seen daily by the transplant team. You’ll receive individualized education at the bedside from a lung transplant coordinator on medication and general discharge instructions. An advanced practice provider will coordinate your care process, communicate with insurance case managers and plan for discharge. A social worker will visit you to address any psychosocial issues associated with the transplant. Once you are discharged, you will have a number of appointments for follow up care. Be sure to keep all of your appointments. We will communicate with your referring physician at the beginning and end of each hospitalization, as well as each outpatient clinic visit. Taking care of your new lungs can determine your success after transplant. Maintaining a healthy lifestyle and changing harmful habits should be priorities. We expect our patients to participate in pulmonary rehabilitation. Lung transplant recipients who return to smoking will not be considered for re-transplant. This doctor who specializes in transplants will follow you before and after your transplant. He or she will complete a physician exam and discuss with you what additional tests are needed for you to receive a transplant. This doctor will perform your lung transplant surgery and help take care of you after the transplant. He or she will discuss the operation and responsibilities after transplant. This doctor specializes in heart care and will follow you before, during and after your lung transplant to ensure your heart stays healthy throughout the process. The advanced practice providers include physician assistants and nurse practitioners who work closely with your physician to ensure continuity of care throughout your stay at the hospital and your transition to outpatient care. They order and monitor diagnostic tests and treatments, respond to urgent needs, diagnose and treat problems if they arise and provide the educational tools and resources necessary to continue success with your transplant once you are discharged. This nurse will be your primary contact before and after your transplant. She will help answer any questions you may have from the time you walk in to the medical center through your recovery and continued care. This individual will review your insurance benefits prior to the evaluation and transplant process and assist you and your family with insurance questions or concerns. This staff member takes patients to their rooms, gathers vital signs and performs other patient care duties in addition to scheduling and other clerical responsibilities. The list of accepted insurances for lung transplant can often change. Please contact your healthcare insurance provider to confirm your coverage for transplant at Ohio State’s Comprehensive Transplant Center. 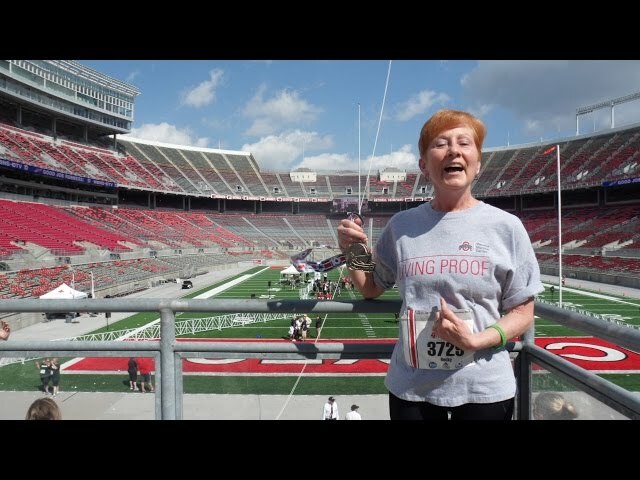 Open to all Ohio State’s lung transplant patients, Ohio State’s Lung Transplant Support Group offers an emotionally supportive community before and after the transplant journey and is one of many additional, optional resources offered to benefit our transplant patients. For any questions or concerns, please call the lung transplant office at 614-293-5822. George developed idiopatchic pulmonary fibrosis and at age 65 was in lung failure. 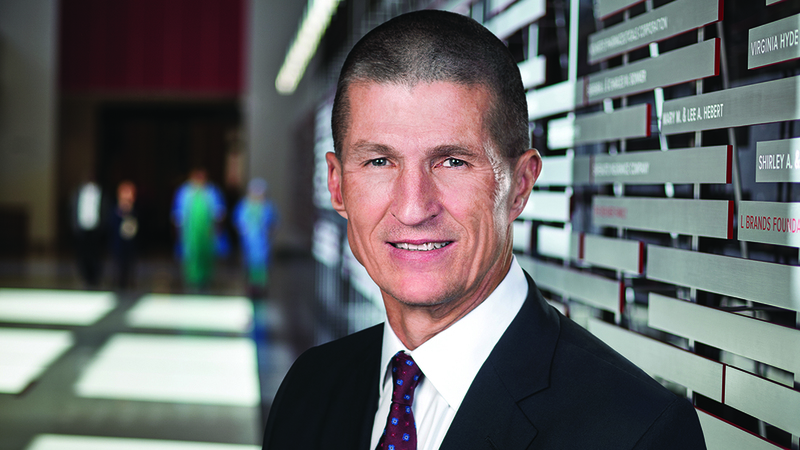 Lung transplantation at Ohio State saved his life. 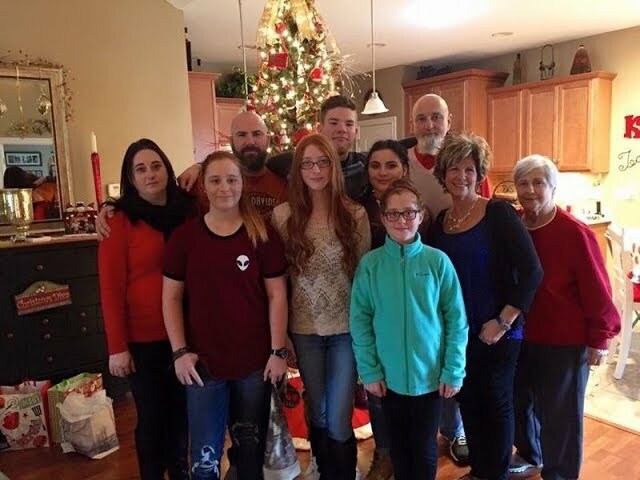 A few years ago, a fall landed Vickie in the ER, but she didn't expect a routine scan to reveal pulmonary fibrosis. 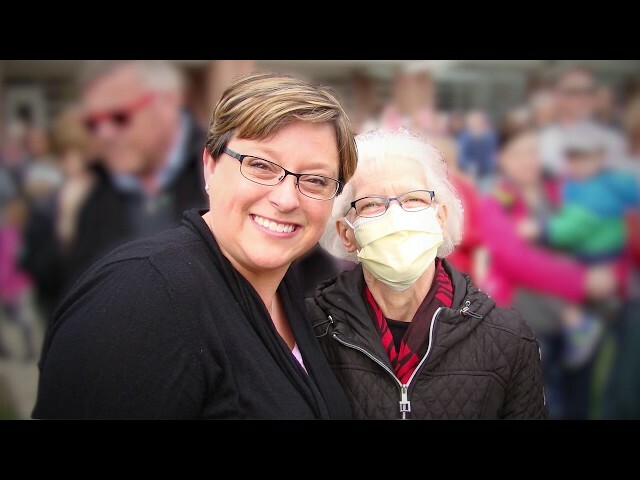 Originally doctor's tied April's breathing troubles to asthma and allergies, so learning she had a genetic lung disease was a shock. At 55, Becky was active and in good health until COPD and emphysema literally took her breath away.